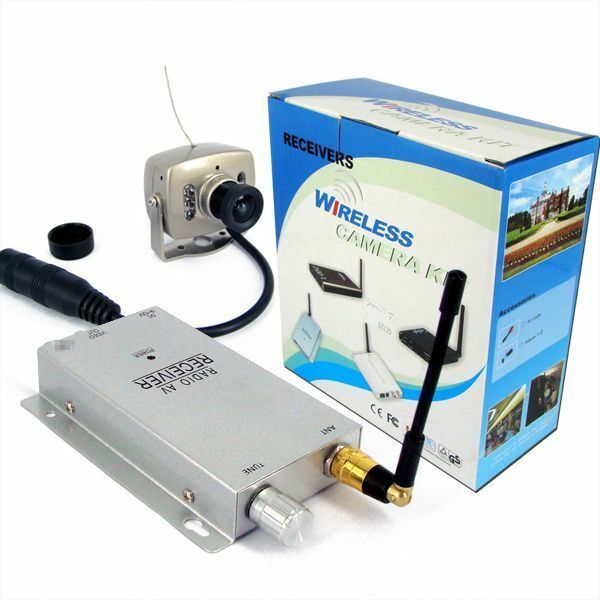 This is a wireless color camera and wireless receiver set for wireless transmission and receiving of video. This is a great low priced option for covert surveillance and security, as well as, with a little mudding, an excellent choice for sending video direct from your model RC as it is being used. It features an excellent wireless transmission range, a receiver with Video OUT so it can easily and quickly be set up with a TV for viewing the images from the camera as they are being sent. * Imaging sensor: 1/3" CMOS. * TV Color System: PAL. * Horizontal resolution: 380 TV lines. * View angle: 62 degrees. * Operating humidity: 85% RH. * Camera Size: 3.7 x 2.8cm. * Unobstructed effective range: 10m. * Power consumption: Approx. 3W. * Operation Temperature: -10C~ 50C/-40F~ 122F. * Storage Temperature: -40C~ 85C/-40F~ 185F.